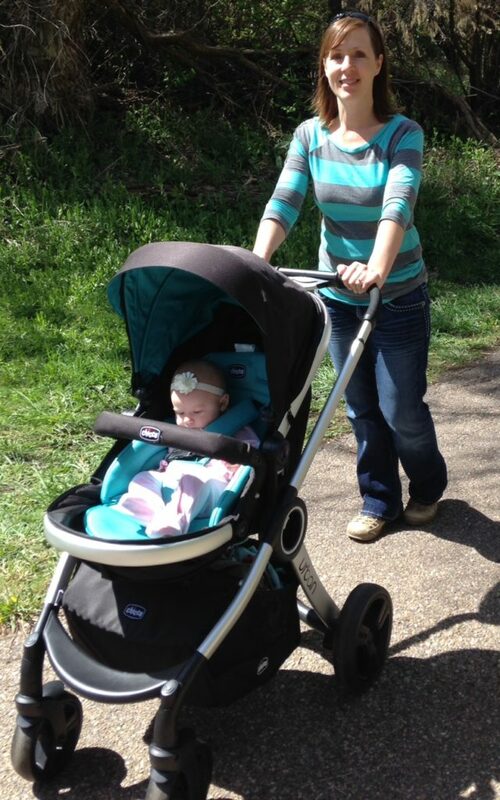 Besides just being a really sleek, good-looking stroller, I really love how sturdy this stroller is. 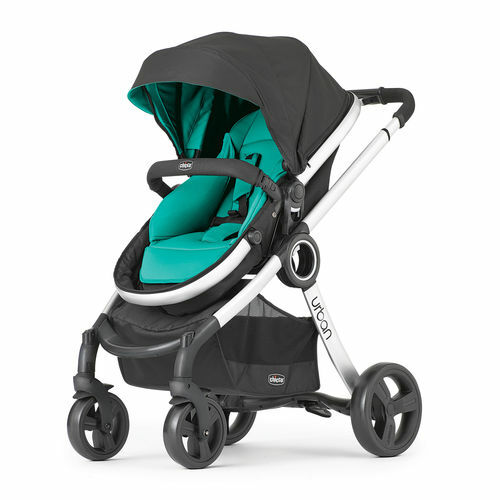 You can tell it is made of high-quality, durable materials, just like everything else Chicco makes. It is easy to set up and take down. It has an adjustable handle to cater to people of all different heights- which comes in really handy for us since my husband is a foot taller than I am. The wheels are easy to lock and unlock with its intuitive linked brake system, and it is easy to push and maneuver. It glides with ease with its four-wheel shock absorption wherever you want to go- which for us was on a path around a local pond to see the ducks. 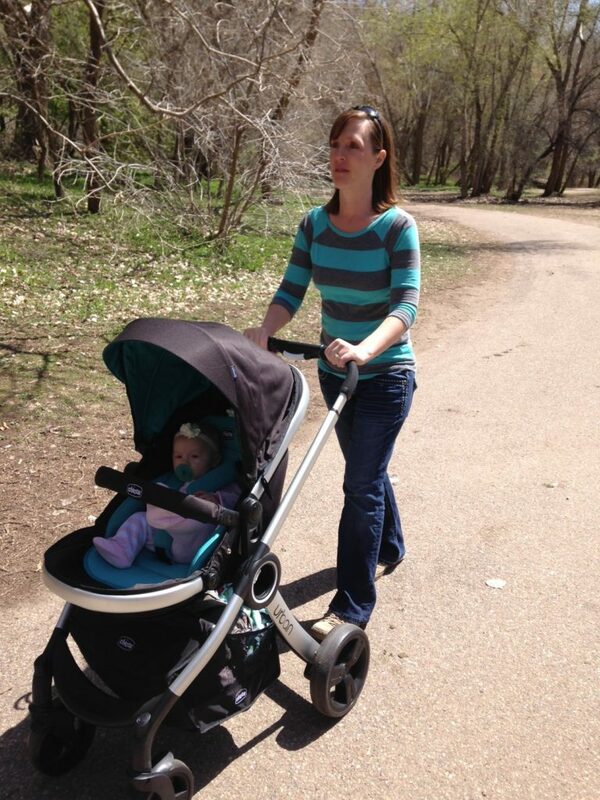 We had a great time on our stroll through the park. 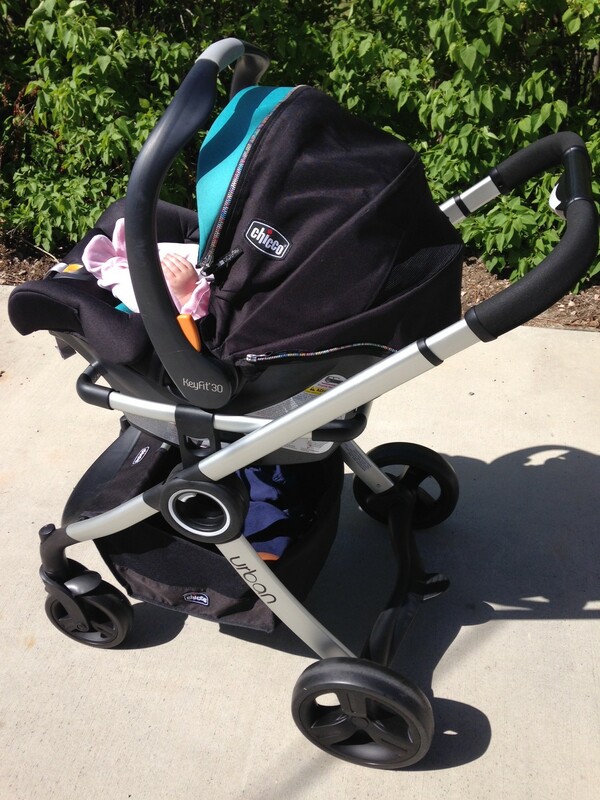 There are so many cool features on the Chicco Urban stroller. The toddler seat can either be put in facing you or facing out– whatever makes your kid happiest. It also can be pivoted to lay flat like a bassinet, reclined for your sleepy child, or in an upright sitting position for your active little observer. The foot rest even adjusts for your child’s comfort. There are covers to keep the straps from rubbing uncomfortably on your child’s skin which I love. And not only is there a sturdy sunshade to keep the sun out of your child’s eyes, but it comes with a boot cover that zips on to give your child full protection if you need it. 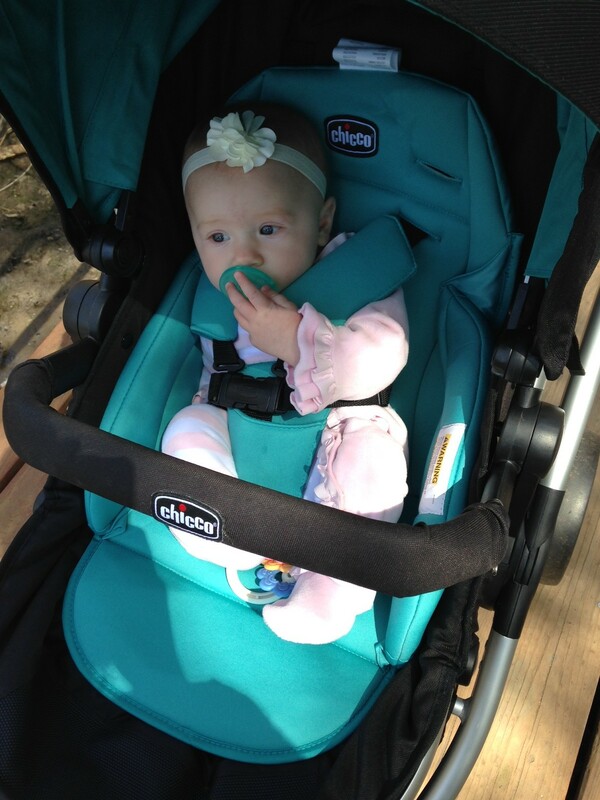 If your child is asleep in their car seat and you don’t want to wake them, Chicco has you covered. 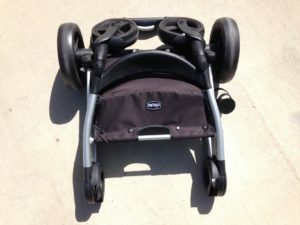 The stroller comes with a car seat attachment that easily clicks into place. 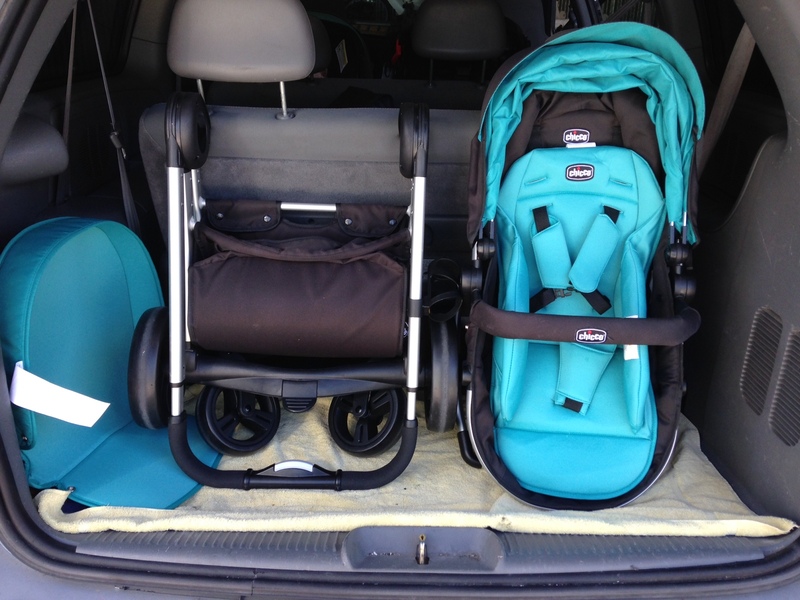 Your compatible Chicco KeyFit® 30 Zip Car Seat can click into it either facing out or facing you. This came in very handy for me as my daughter was asleep when we first got to the park, so I just kept her in her car seat and clicked her into the stroller. 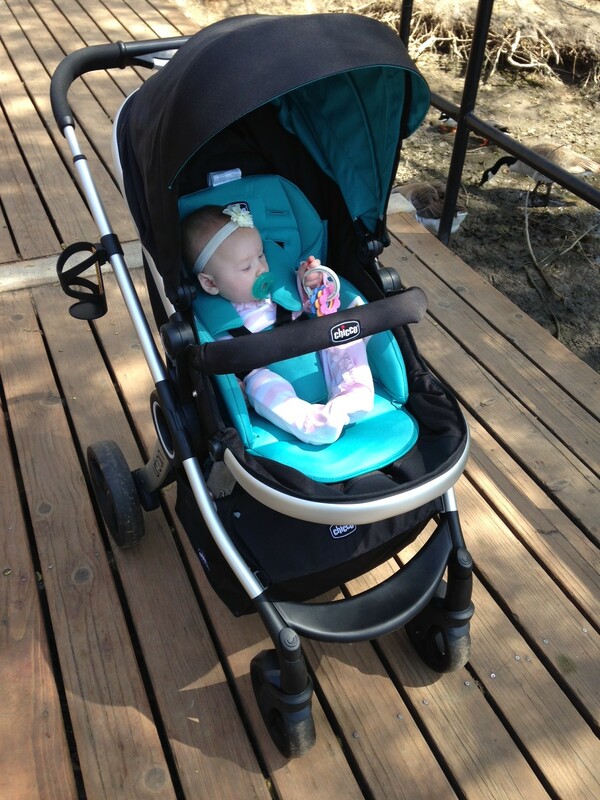 Then when she woke up I switched her into the toddler seat and away we went to see the ducks. 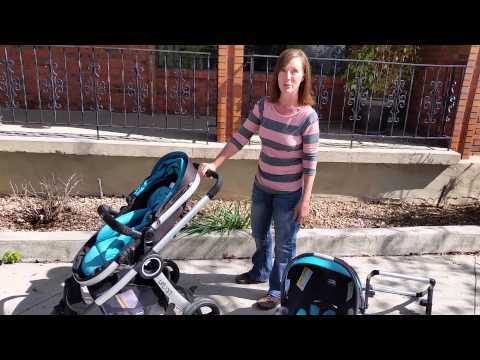 I made a little video to show you how easy the stroller is to use. It folds up compactly and fits in your car nicely! I highly recommend this Chicco Urban Stroller / KeyFit® 30 Zip Car Seat combo if you are looking for a high-quality, versatile, sturdy, nice-looking set-up for you and your child!